Color woodcut on laid paper, with Baumann’s hand-in-heart watermark. 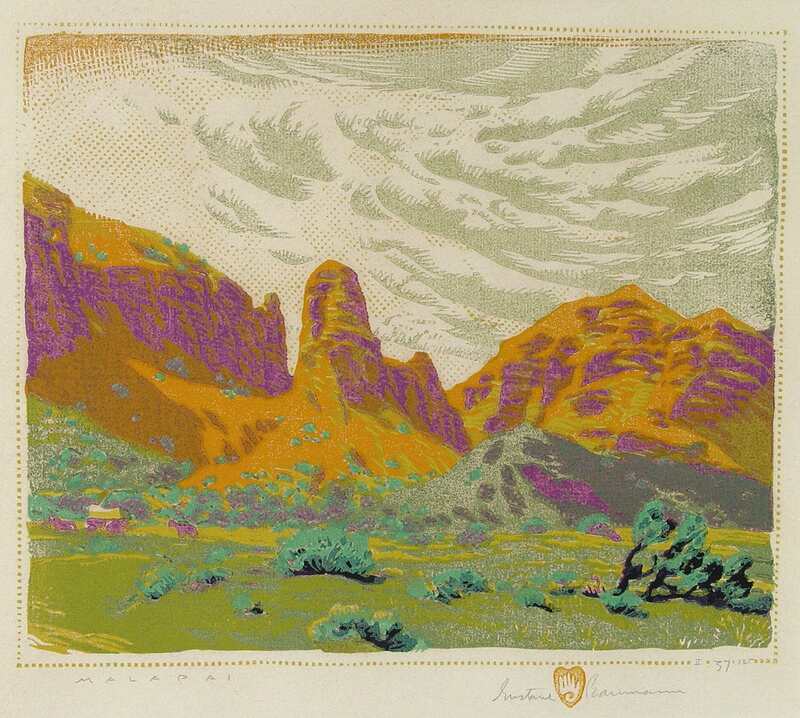 Edition of 125 (there was also an earlier edition of 120). Signed, titled and numbered II 37 of 125 in pencil and with artist’s hand-in-heart stamp (with original label). 9 3/8 x 11 1/4 in. ; 23.81 x 28.58 cm. The impression is boldly printed with fresh, unfaded colors. The location is in the Badlands of New Mexico.